Once again, Pattern is highlighting a company that might be a good resource to our male readers. 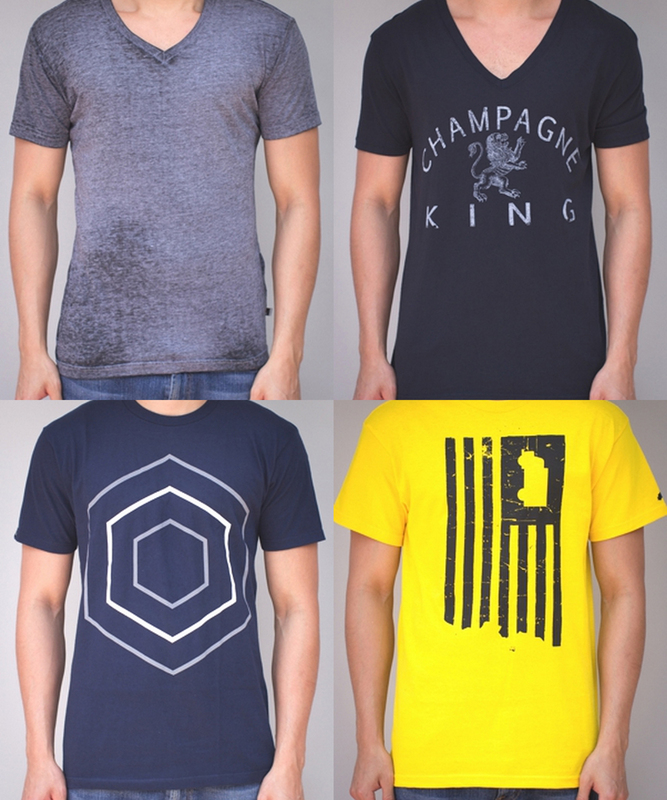 I have said many times that a man’s favorite item is a good graphic t-shirt. What if I told you that you could spend less time shopping and more time enjoying the summer? Well, Swag Of The Month (SOTM) offers a service that could help you out. 1. You take a 60 second quiz: Through a simple series of visual multiple choice answers, SOTM gets a better understanding of your personal style. One of the questions asks the guy to select, out of 6 girls, who they would be friends with – each girl clearly having a different style. It then asks your age group and shirt size. Then, this information is used to determine your subscription. 2. Register for the subscription: The subscription costs $16.95 per month, and you will receive one shirt a month (from one of the handful of streetwear brands they stock). You can check out the shirt options before you register on their site, but you don’t get to pick which shirt gets delivered to you. In fact, they offer shirts from over 120 designers around the globe that would normally retail from $30 to $75. 3. In a few days the shirt is delivered to your door. The cool thing about the subscription service is that you can choose the number of shirts you would like delivered to your door each month (each costing $16.95 a month). It’s a perfect way to not have to check the same old stores for shirts that you already own… or shirts that you just don’t like. Then, if you like the shirt, you wear it and wait for the next month’s delivery. If you don’t like the shirt, they do offer the option of sending it back. All of these customer service details are covered on their site. The process is perfect for guys because it’s not complicated and very convenient. (Not to mention: $16.95 a month, including shipping, is a lot cheaper than hiring me or any other personal stylist on a day-rate). I even recommended the service to one of my clients as a casual clothing resource option for him. I often do a style guides on my own site, and don’t want to leave the awesome Pattern readers out… So, I used one of Swag of the Month’s shirt options in my recent Summer Style Guide. Adding color for summer is a must. 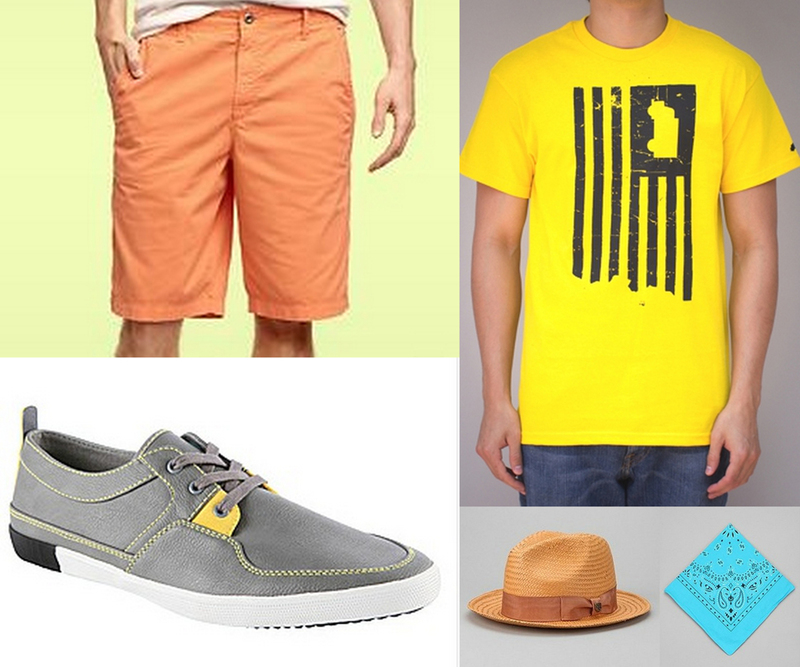 I like the bright, bold SOTM graphic t-shirt, paired with a sun-bleached short, and then a bold-colored accessory. Enjoy the summer styling now because soon I will be doing a men’s Fall trend report.